In today’s digital world, real estate agents need to have a powerful online brand if they want to succeed. Building a strong real estate brand isn’t simply a matter of thinking up a catchy tag line, attaching an attractive photo, and buying some billboards and bus stop benches. The Internet is the first place that many home buyers and sellers go to research and meet agents now, so realtors need to build a strong online presence if they want to capture the attention of new clients. We have 3 effective real estate online marketing ideas that will help you develop and promote your online real estate agent brand. If you’re relying on your agency website to represent you on the Internet, you’re never going to develop the strong Internet agent brand that will make you memorable to home buyers on the web. In order to have potential clients to seek you out specifically rather than settle for any agent at your brokerage, you need a personal agent website with a winning set of characteristics that sets it apart. Create a clean, distinctive signature look for your website, with a logo and style that is memorable to visitors. Make your website easy to navigate, with an attractive mobile-friendly interface that encourages visitors to click their way through your site. Make sure you highlight your professional expertise, and include lead capturing features that will make it easy for home buyers to connect with you. Publishing an informative weekly or biweekly blog is one of the most essential online real estate marketing strategies for building a strong agent brand. 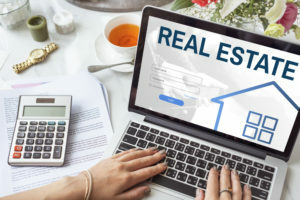 A real estate blog helps you establish a visible online presence, by giving you a way to incorporate the latest trending keywords and mobile search phrases that real estate customers are using. Well-written blogs with helpful, interesting information on real estate topics will establish you as a trusted source of real estate information, powerfully strengthening your real estate brand while raising your site’s SEO value so you have a higher search rank. If you would like help putting these real estate online marketing ideas into effect to build your real estate brand, you can always turn to For Sale Marketing. We offer complete realtor branding services that provide everything you need for prime visibility, including graphic design services, responsive real estate website design, blog writing services, social media marketing services, and much more. You can count on our design team to create a custom design that perfectly expresses your real estate brand and vision.